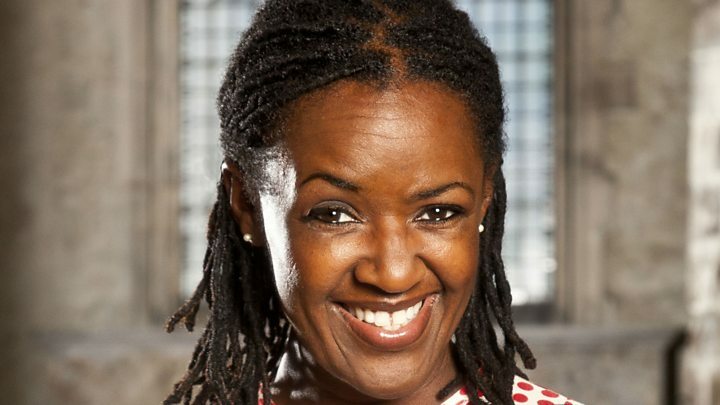 Media captionDiane-Louise Jordan: "I've been on the most horrible three-year rollercoaster"
BBC presenter Diane Louise Jordan said she has had "a tough three years" trying to clear her name after being wrongly accused of harassment. The ex-Blue Peter presenter said her career suffered after she was issued with a PIN (Police Information Notice). She was given the PIN, sometimes called a Harassment Warning Notice, in 2014 for allegedly harassing the partner of her daughter's estranged husband. Her accuser received a suspended 18-month prison sentence on Thursday. Kayla Thomas was sentenced for perverting the course of justice. A spokesman for Cambridge Crown Court said Ms Thomas had given a false witness statement and was also subject to a three-month curfew. The case has drawn attention to the issuing of PINs, which some claim are issued too frequently and without sufficient investigation. Jordan, who currently co-presents the BBC's Songs of Praise, told BBC Radio 4's Today programme she felt "guilty until proven innocent", adding: "It is a horrible thing to be hanging over you for three years, for something you know you haven't done." 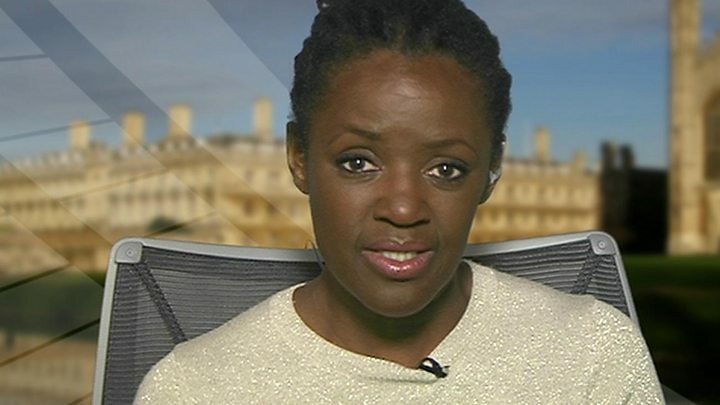 Speaking to BBC Two's Victoria Derbyshire programme, she said: "I'm still reeling from it now. My integrity has been questioned and my sense of trust has flown out the window." The presenter said she had signed the notice because she thought she had "no option", without realising it would go "on some sort of record". She said the issuing of the notice and the media coverage it generated had had a "detrimental impact" on her charity work. "Some of the charities I was working with I haven't heard from again," she told the BBC on Thursday. Jordan presented Blue Peter from 1990 to 1996 and was its first black presenter.